So folk! 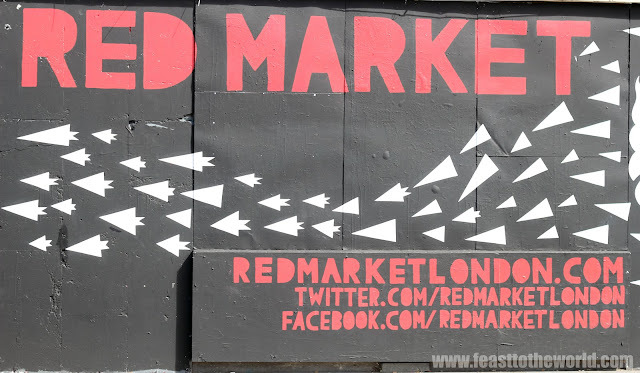 It's true and Red Market is back and this time there are more lunchtime bliss for those who works within the vin city of Old Street during their lunch. Add if you don't, you can always pop over after work as this market opening long into the evening too. Hailed as East London's original night market, it is fully licensed with its own bar with lots of street food stalls. 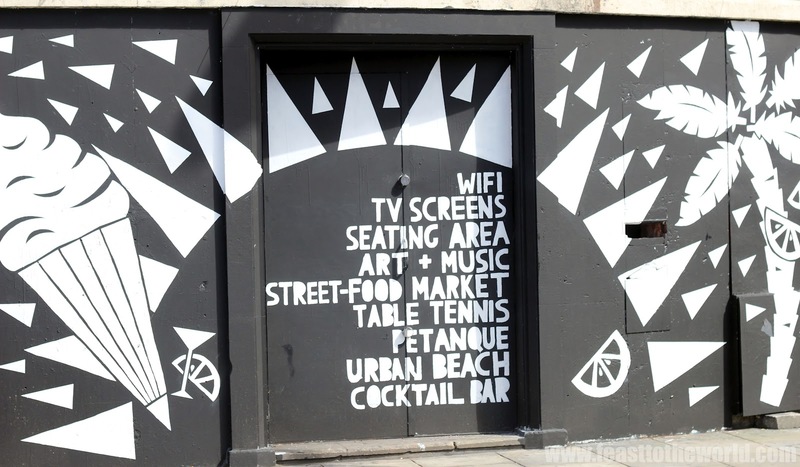 Situated just off the Old Street roundabout, it promises to provide a relaxed and chill-out art and food premise. And it was within these trendy walls that I stumble upon the great almighty Burger Bear. First of all, what a great name and have you seen its twitter's avatar ? It filled me with so much warm and fuzziness that I knew I just had to come and give it a hug. And so i met upi with a few friends to pay these cuddly bear a visit. The mastermind behind the Burger Bear is Tom who was on site when we visited. 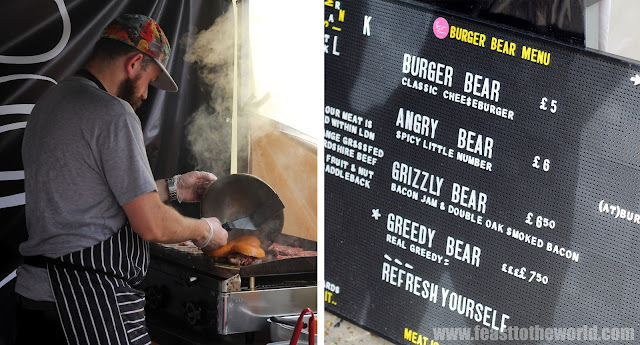 The menu featured wittily named burger such as the Angry, Grizzly and Greedy Bear. 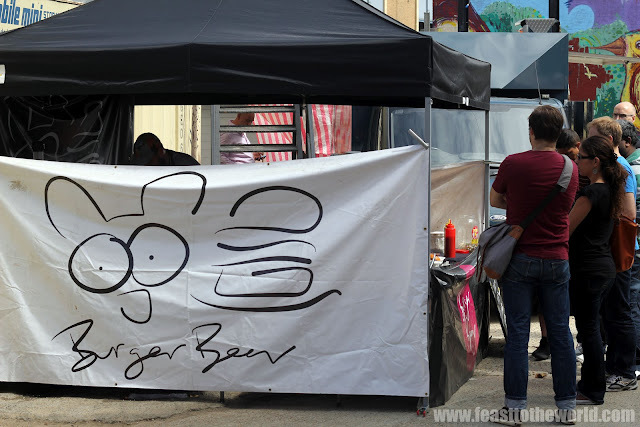 The Grizzly (£6.50) seemed to be the popular choices and we were told that the bacon jam was freshly made with a healthy dosage of Jack Daniels on the day, in fact it was still warm, proclaimed Tom proudly. 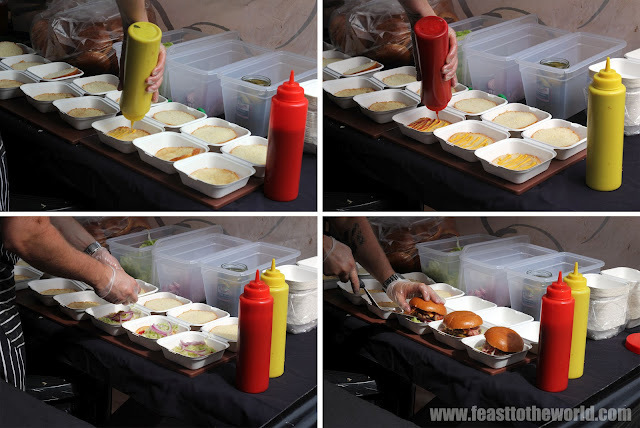 With military precision, he went about cooking the orders, grilling, flipping and steaming each brioche-like soft buns with a cloche, giving them the glossy shininess. Well, the Grizzly Bear was as ferociously tasty as it sounds. 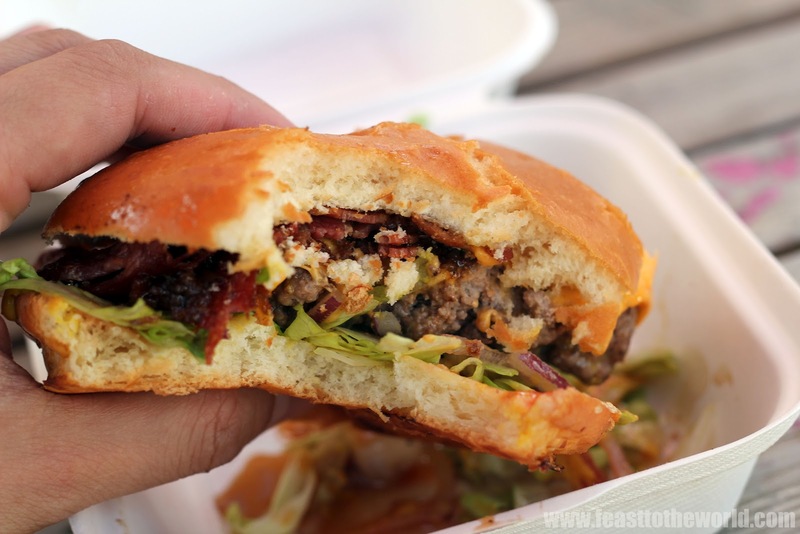 Unlike most burger, it utilises a leaner cut which seemed to yield a less greasy and fatty mouth feel but with it being cooked to perfect medium-rareness, it was still juicy and has had a decidingly rich, beefy flavour. 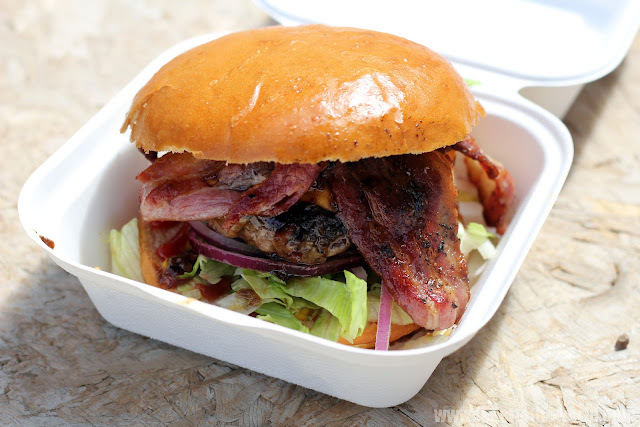 The Oak smoked bacon add a touch of sweetness but the addition of the bacon jam was indeed a revelation. Even with a non-sweet tooth like me, it charms its way into my good book. Although I must say it was quite sickly after one, I wouldn't want to have another. Maybe next time! Follow Burger Bear on twitter for Tom's latest appearance. Roost, is a buttermilk fried chicken street stall founded by the a co-founder of Canteen. 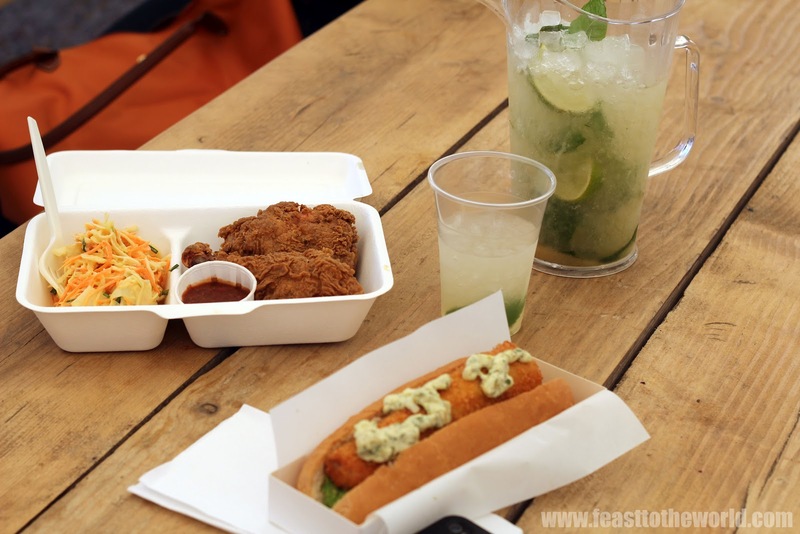 One of the few Buttermilk fried Chicken venture that have been riding the waves on the current craves started by the Spit And Roast guys. 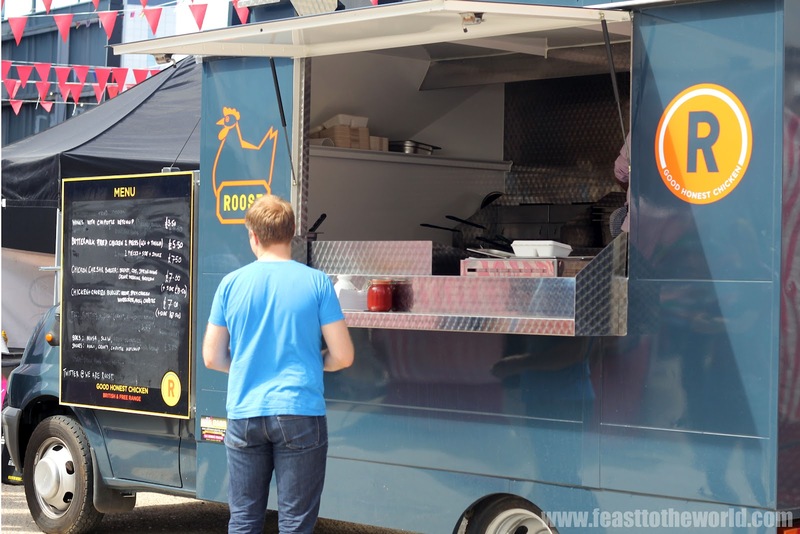 I have been known to be slightly partial to a bit of fried chicken so it would have been silly for me to ignore the opportunity to give this folks a miss. But before my verdict, I have to say that I do have high expectation when it comes to the perfect buttermilk fried chicken. The Wings with Chipotle ketchup (£3.50) were nice and crispy, rather tasty but the sauce seemed too sweet with none of the spicy kick nor smokiness that I was anticipating. 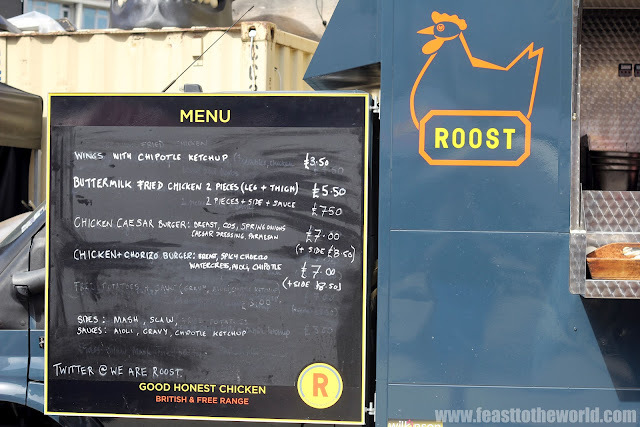 The Buttermilk fried chicken at £5.50 for 2 pieces and £7.50 with side + sauce seemed rather expensive when compared to its competition who offered cornbread and gravy to the two pieces of chicken for just £6. Anyhow, back to the chicken, it was crispy as it should on the outside but I felt that it was slightly bland and rather dry which was a shame as the buttermilk should have tenderised them to make them succulent. I have heard good feedbacks about them from friends and the wings seemed to show great potential so perhaps this was just a glitch. 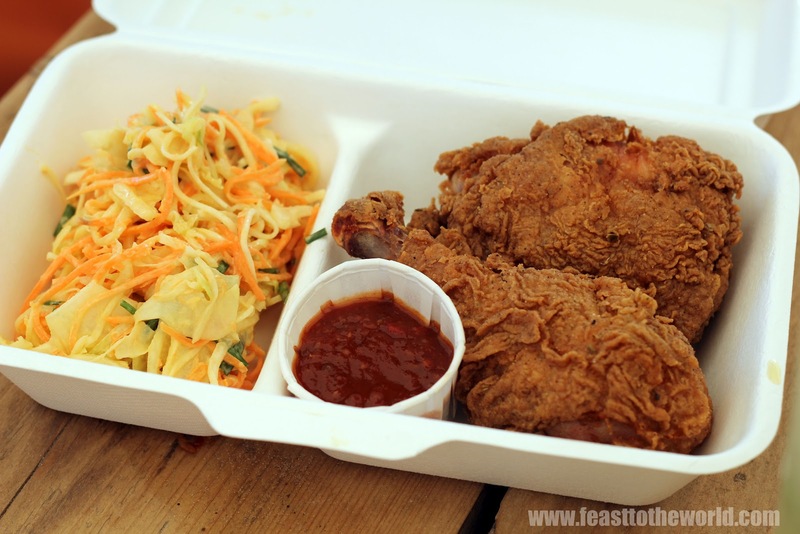 I am however glad that fried chicken is getting the recognition that it finally deserved. My Name is J and I am a BFC addict. 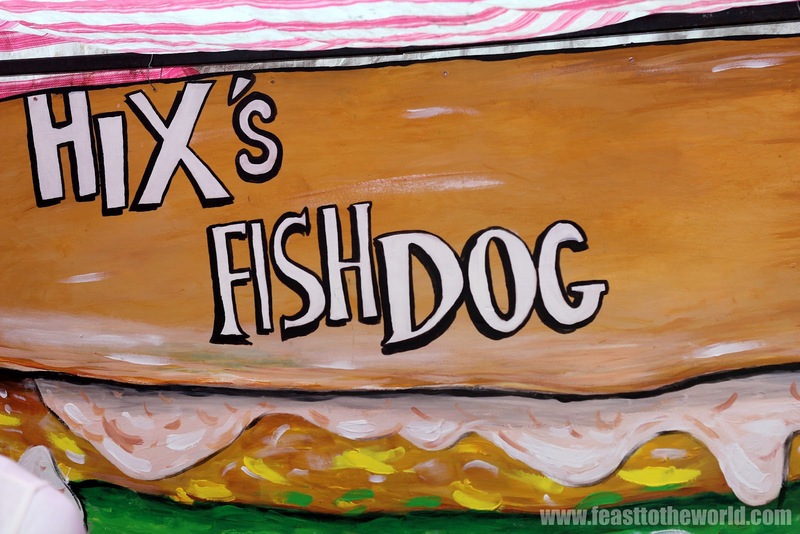 Another new street food venture spotted on the day was Hix's Fish Dog, started by Mark Hix (hence the branded Hix's ). The best way to describe a Fish Dog (£5) is that they are more refined and posh version of fish finger sandwich (another guilty pleasure of mine). Big fillets of sustainable coley (highly underrated fish) were dipped into beaten eggs and coated with breadcrumbs before deep-frying to a sublime lightness. 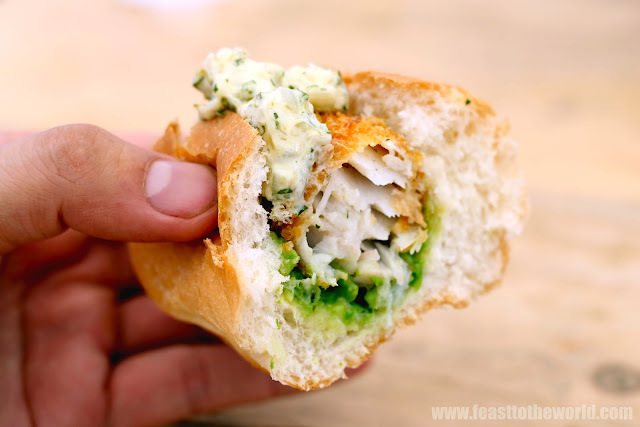 The usual fresh hotdog buns were cut opened, filled with a stream of bright green mushy minted peas before nestling the crispy 'fish fingers' on top. You then helped yourself to the homemade tartare sauce which tasted miles better than any tartare sauce out there, so fresh and vibrant. Could this be the starting of the new trend? I'll certainly be back for more of these delectable Fish Dogs. 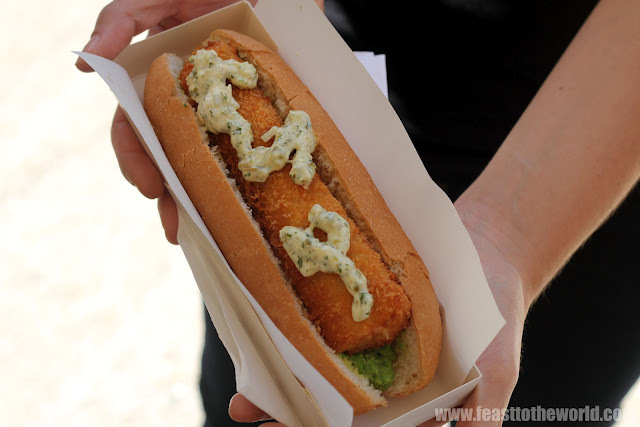 That fish finger bun looks great - It sounds almost fillet-o-fish-esque. Now that you've mentioned it, it does look a lot like a fillet-o-fish but it's way better that those from Maccy'D.